WCAG 2.0 Validator, WCAG 2.0 Checklist or Live Human Testing? Following a WCAG checklist and having a WCAG validator are critical for being accessibility compliant today. If you intend to put out a welcome mat for potential customers and clients with disabilities online, you probably realize that it’s essential to offer a fully accessible digital experience. The most universally accepted and up-to-date guidelines for web accessibility today are the Web Content Accessibility Guidelines (WCAG) 2.0. But how can you be certain that your website is WCAG 2.0 compliant? The only way to know for sure is to evaluate it properly. There are a few approaches, including automated WCAG checker tools, manual and human testing. Let’s examine the pros and cons of each. A WCAG validator is automatic. It can check a specific feature of a website, test whether or not it meets a pre-set condition, and rate it as a “pass” or a “fail.” Typically you’ll receive an error report along with the reasons why the WCAG validation failed. 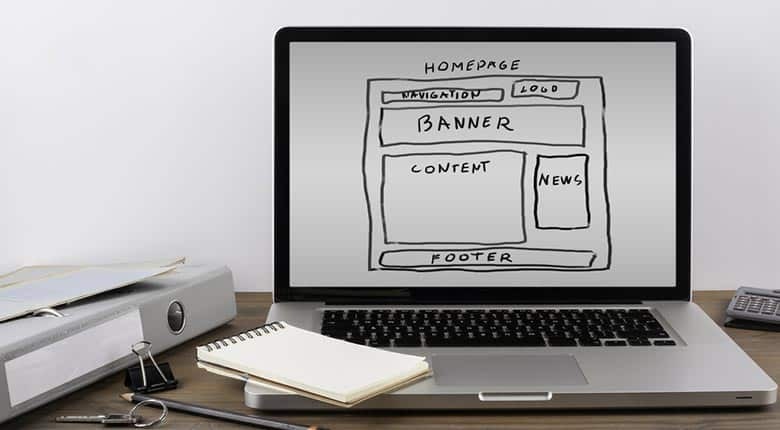 There are dozens of web accessibility testing tools such as AChecker that can automatically test whether or not elements of your website are WCAG compliant. Some may also do a Section 508 check to ensure compliance with other laws. For example, the World Wide Web Consortium (W3C), the international organization behind the Web Content Accessibility Guidelines, provides a program called Unicorn. This WCAG validator allows you to enter the URL of any web page, get a detailed account outlining where it isn’t WCAG compliant, and learn how you can improve the accessibility of the page. It’s important that PDFs and other documents also be made accessible. There is even an accessibility checker in Microsoft Word, Excel, and PowerPoint that helps flag potential accessibility issues in your documents, spreadsheets, and presentations. The W3C also maintains a helpful searchable database, the Web Accessibility Evaluation Tools List, listing all kinds of other WCAG validators from different organizations. Some are online colour and contrast checkers, and some are downloadable programs. Tools like these are often free, and unlike a WCAG checklist, they work instantly. However, some tools only test the accessibility of one website component or type of technology. Let’s use images on a website as an example. The law requires that images that aren’t decorative have an alternative attribute that is meaningful to the image. An automated tool will only detect the presence of the alt-text, but it will not be able to determine whether it’s relevant to the image itself. This requires manual testing. More on that below. Something else to keep in mind is that while these WCAG validator tools are useful for giving you an idea of the level of accessibility problems with your website, you should not depend on them to provide you with a complete list of every single WCAG violation. That’s not a realistic expectation. A WCAG checklist is a simple, easy-to-follow, systematic list of web accessibility requirements, or “success criteria” for WCAG compliance. If you happen to find the full set of Web Content Accessibility Guidelines intimidating or filled with jargon you don’t understand, you might find it more straightforward to follow a simple website accessibility checklist to ensure you have a few basic accessible features in place. Download our “Must Have WCAG 2.0 Checklist” here. For example, using a checklist, you might be guided to look at whether or not the text on your web page will still be formatted properly and visible when a user enlarges it. Thus a WCAG checklist can be an extremely useful and informative reference, but you should know that a checklist is not exhaustive. Your website might meet all the requirements in the list, but that’s in no way a guarantee that there aren’t still major accessibility problems with the site. However, a web accessibility-testing checklist will certainly help you find many of the most obvious barriers. Nothing beats web accessibility testing with real human beings, especially if they have disabilities. It’s only this kind of evaluation that will uncover usability problems that can’t be identified using automatic validators or by following checklists. Importantly, because this process provides you with real-world feedback, it will also help you understand exactly how and why a barrier is created when a particular feature of a website doesn’t meet WCAG 2.0 compliance. For example, you’ll learn more about the way a person with a certain disability might use assistive technology, and what they’re bumping against when they try to use that technology to visit your website. A professional consultant will involve a team of experienced human evaluators with a range of disabilities and technologies. They’ll look at all critical aspects of your website, not just a handful, and they’ll have the best chance at catching usability glitches. Importantly, they’ll also offer you valuable and practical WCAG 2.0 accessibility remediation solutions, regardless of which level of compliance you’re aiming for – whether you’re going for WCAG AAA status or not. Many regulations, like the refreshed Section 508 and the Air Carrier Access Act (ACAA), use the WCAG 2.0 guidelines and the technical requirements for web accessibility. Adhering to them allows organizations to achieve and maintain compliance with required standards and regulations. Best of all, making your website WCAG 2.0 compliant means you’re also benefiting many other groups. These include people who are older, people who are inexperienced with the Internet, folks who are less fluent in English, and anyone using mobile technologies. In other words, offering an accessible website means putting out a welcome mat for everyone. eSSENTIAL ACCESSIBILITY has developed a comprehensive accessibility solution to help organizations follow the Web Content Accessibility Guidelines (WCAG) and achieve and maintain compliance with standards and regulations. This includes integrating web compliance evaluation services with assistive technology to deliver a transformative experience for people with disabilities. Learn more about eSSENTIAL ACCESSIBILITY’s innovative solution.